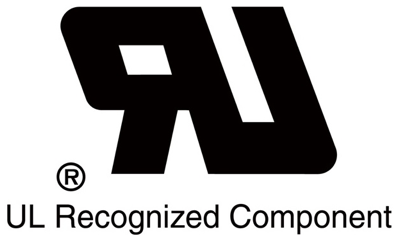 Argos Corporation is a privately held custom tubing manufacturer. 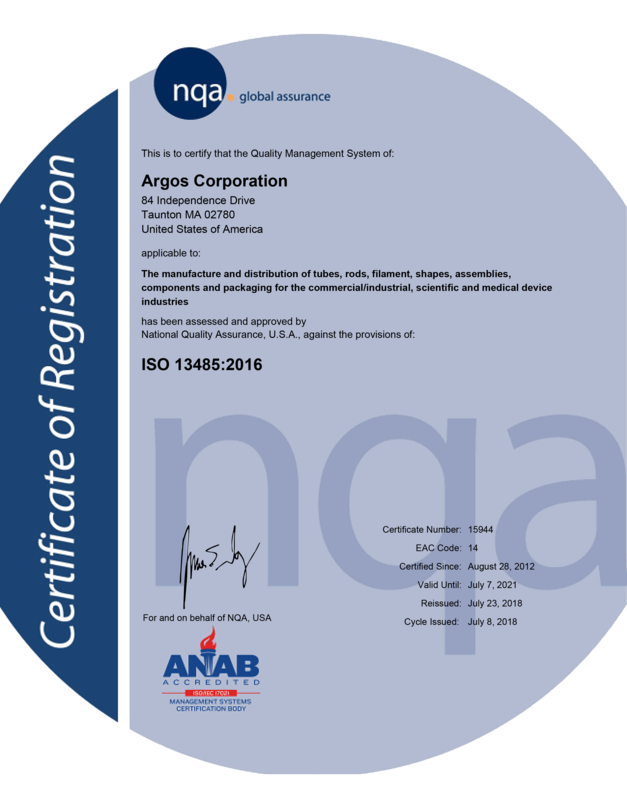 As a Tier 1 supplier to the many industries, Argos has the capabilities to meet or exceed your expectations for Quality, Service and Price. Argos prides itself on the diversity of its products and abilities. We manufacture products in a number of industrial sectors including electrical, automotive, consumer, packaging, sanitation, food and beverage, environmental sciences, fiber optics/telecommunications, and construction. Our team of Plastics Engineers are available and eager to work with you at any stage of development. From the formative ideas to the finished product, our team is willing to step in at any time to provide our input in your research and design with a solution in mind. Argos Corporation works closely with our Material Vendors to remain at the forefront of the industry. Here is a list of typical thermoplastic materials. Flexible (FPVC): Versatile material available in many different formulations. Clear and flexible, often used in the Medical Industry. Can be easily joined or welded. Certain grades are FDA or Medical compatible. Available in clear or heavily compounded with functional fillers. Rigid (RPVC): As the name implies, a stiff and rigid, tough material. 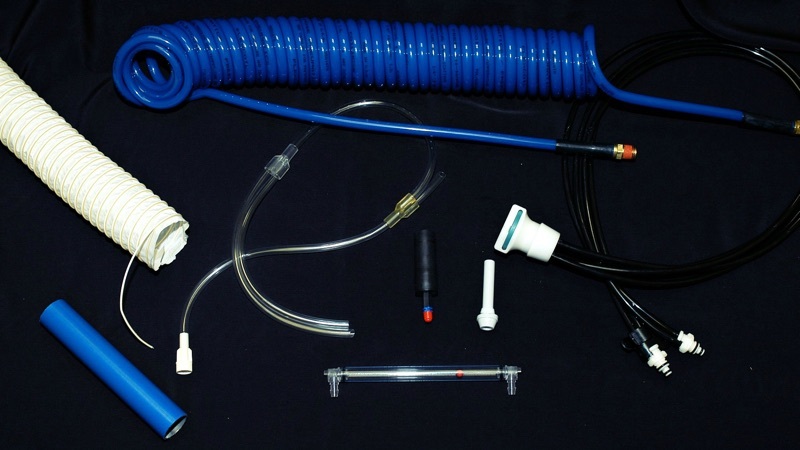 The same material that is used in white and grey drainage tubing for plumbing applications. Can be formulated to meet many unique properties. Especially useful in the electrical or telecomm industry. Good electrical properties, inherently flame retardant even when clear. TPE is the general name given to a variety of flexible polymer compounds. It stands for Thermoplastic Elastomer, and there are many types. Styrenic Block copolymer TPE’s use and SBS or SEBS block copolymer blended with a plastic binder, typically an olefin material such as PP. These have outstanding cold weather properties and versatile processing. TPV is the name given to a Dynamically Vulcanized TPE. In other words, the “rubber” portion is vulcanized during processing, yielding superior resiliency and resistance to permanent deformation (known as Creep). TPO is a lower cost, simple blend of EPDM rubber and an Olefin binder (typically PP). TPO’s can be formulated to meet most any application. Very tough and rigid. Available in grades that meet USP Class VI. Can be modified to improve gamma radiation sterilization. Ethylene Oxide and autoclave compatible. Nylon 6/6: Similar to Nylon 6, but with higher temperature resistance. Nylon 11 or 12: Often compounded to achieve flexibility, these are specialty grades that offer a variety of properties including improved oil resistance or superior flexibility. Often used in automotive tubing and hose applications. Copolymers: Blended with flexible modifiers to improve flex and impact properties. 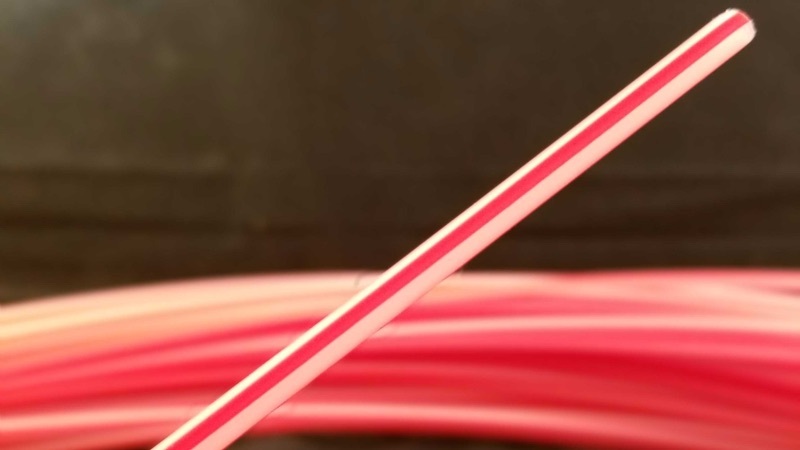 The most flexible grade, LDPE is commonly used in tubing where kink resistance is important. LLDPE: similar to LDPE, but slightly stiffer and with better ESCR, especially in small diameter thin wall tubing. High Density Polyethylene displays the highest rigidity and solvent resistance, as well as good burst strength and ESCR (Environmental Stress Crack Resistance). Used extensively in pressure rated tube and piping applications. Homopolymer PP is rigid with good chemical resistance. Copolymer is more flexible with better low temperature properties. Acrylonitrile Butadiene Styrene. This is a very tough and durable workhorse polymer that has competed with materials such as polycarbonate when clarity is not a concern. Superior impact resistance and high gloss makes this a very useful material. It is also commonly used in filaments for 3D Printers because of the high property-to-cost ratio. Polylactic Acid is a low temperature polymer that is plant based (made without fossil fuels). It is considered biodegradable when treated properly. PLA is the most commonly used material used for 3D Printer filament. The low shrinkage properties allow for large prints without warpage. And the plant-based origin makes it safe for home use. High Impact Polystyrene is a cost effective, rigid material. As the name implies, it can be formulated to have high resistance to impact. It is easy to process and tends to stress-whiten when flexed. 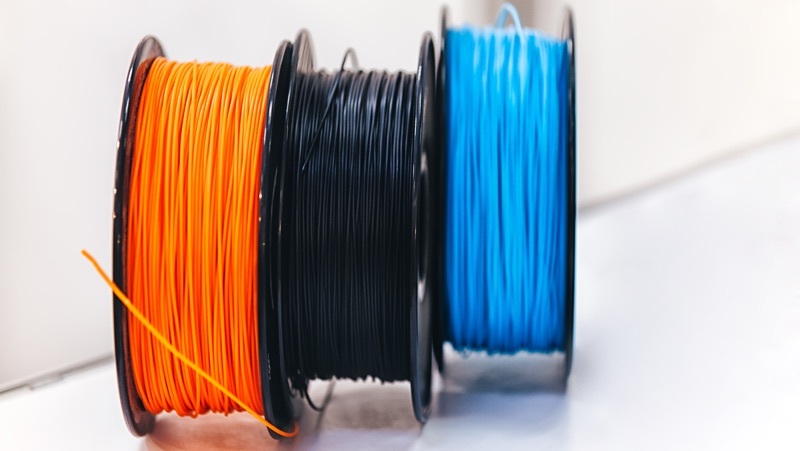 Often used for low price commodity items, it has seen a steady interest in the 3D Printer Filament market. HIPS “prints” extremely well, although it is prone to warpage and also can absorb moisture from the atmosphere creating problems with print quality. Available in a range of durometers. Polyester based TPU’s offer excellent abrasion and chemical resistance. Polyether based TPU’s provide superior performance in wet environments and have outstanding low temperature properties. Overall outstanding chemical and weathering resistance. Offered in rigid homopolymers and flexible copolymers. Just a few of the other melt processible fluoroplymers. We run many other thermoplastic materials. Contact us to find out more! Let our engineers work with you to design your custom tubing and approve the best material for your application. Diameters from .007” up to 2” we can provide the most cost effective tube or extrusion for your application. 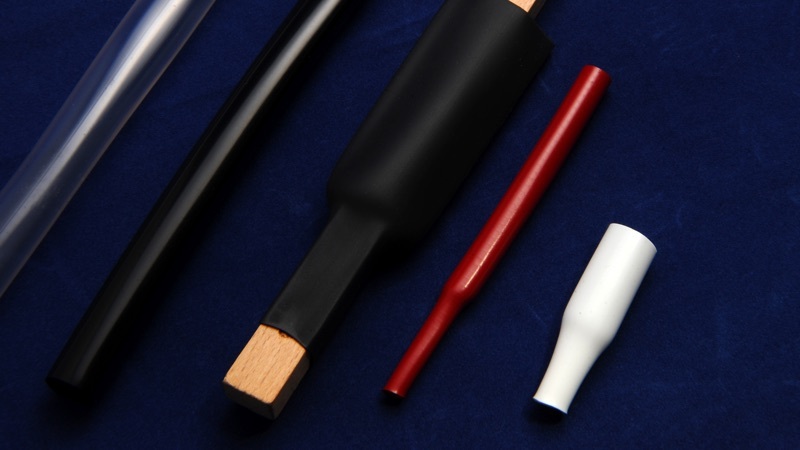 Argos manufacturers our own line of heat shrink tubing and can provide a product for most any application. 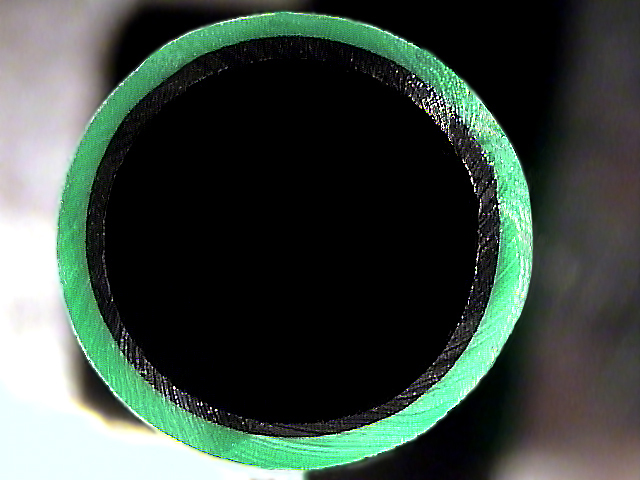 Thermoplastic tubing can be provided with a stripe in the sidewall. This stripe can be for identification purposes, or to perform a certain function such as static dissipation or radio opacity. Argos will be introducing various new resins into the 3D Printer Filament market to complement our current line of traditional PLA. Find our products on Amazon. Oftentimes, a single material is not capable of providing the properties or cost limitations for a specific application. Argos Corporation has the capability to extrude different materials into one tube, layering the materials in such a way as to gain the benefit from each material while maintaining a consistent final product.